Comments made by Google’s John Mueller yesterday could signal a major about face for the search engine. Despite previously going on record as saying that rich snippets and structured data would not be a ranking consideration, the search engine appears to have changed its mind. Speaking in a Google Webmaster Central office-hours hangout earlier today, Mueller said that in fact, the search engine does expect rich snippets and markup to play a part in its ranking algorithms of the future. The news is a major turnaround for Google, which has always denied that structured data is, or ever would be, an SEO factor. By suggesting it will now be introduced into organic ranking algorithms, those who have previously believed Google’s assertions that the metrics don’t hinder or help SEO performance are left with a lot of work to do. While Mueller didn’t say exactly when structured markup would be introduced to an algorithm, he did say it made sense that it does happen. His comments were left open to interpretation with some thinking the introduction has already been planned and others believing it was more of an abstract discussion. Regardless of whether or not structured markup’s conversion into an SEO ranking factor is imminent or still a long way off, those sites not yet using rich snippets and structured markup to categorize their data would be smart to do so. Structured data helps Google to understand the type of content presented on a site. The search engine uses this information to determine how, and in what format, the content is indexed on its search results pages. If you’ve ever done a search for an airline ticket from a specific airport, and gotten a list of all flights landing from a certain destination at a certain terminal, this is one example of structured data markup in action. 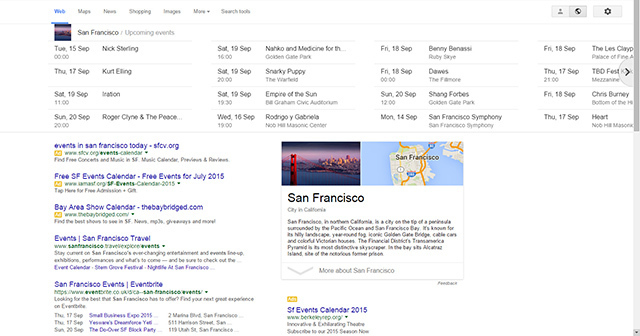 Other examples include event listings – if you’ve planned a vacation or looked for something to do at the weekend and seen a list of suggestions at the top of your search results, you’ve seen rich snippets in action. Will you be adding structured data to your website just in case Google does introduce it as a ranking factor sooner rather than later?